Backing up or replicating an AWS CodeCommit repository to another AWS region. Automatically backing up repositories currently hosted on other services (for example, GitHub or BitBucket) to AWS CodeCommit. In this blog post, we’ll show you how to automate the replication of a source repository to a repository in AWS CodeCommit. Your source repository could be another AWS CodeCommit repository, a local repository, or a repository hosted on other Git services. To replicate your repository, you’ll first need to set up a repository in AWS CodeCommit to use as your backup/replica repository. After replicating the contents in your source repository to the backup repository, we’ll demonstrate how you can set up a scheduled job to periodically sync up your source repository with the backup/replica. You can host your local repository and schedule your task on your own machine or on an Amazon EC2 instance. For an example of how to set up an EC2 instance for access to an AWS CodeCommit repository, including a sample AWS CloudFormation template for launching the instance, see Launch an Amazon EC2 Instance to Access the AWS CodeCommit Repository in the AWS for DevOps Guide. In this section, we’ll create an AWS CodeCommit repository and replicate your source repository to it. If you haven’t already done so, set up for AWS CodeCommit. Then follow the steps to create a CodeCommit repository in the region of your choice. Choose a name that will help you remember that this repository is a replica or backup repository. For example, you could create a repository in the US East (Ohio) region and name it MyReplicaRepo. This is the name and region we’ll use in this post. DO NOT use your working directory as the local clone repository. Your work-in-progress commits would also be pushed for backup. DO NOT make local changes to this local repository. It should be used for sync-up operations only. DO NOT manually push any changes to this replica repository. It will cause conflicts later when your scheduled job pushes changes in the source repository. Treat it as a read-only repository, and push all of your development changes to your source repository. When you push large repositories, consider using SSH instead of HTTPS. When you push a large change, a large number of changes, or a large repository, long-running HTTPS connections are often terminated prematurely due to networking issues or firewall settings. For more information about setting up AWS CodeCommit for SSH, see For SSH Connections on Linux, macOS, or Unix or For SSH Connections on Windows. Use the git remote show command to review the list of remotes set for your local repo. Run the git push sync --mirror command to push to your replica repository. If you named your remote for the replica repository something else, replace sync with your remote name. The --mirror option specifies that all refs under refs/ (which includes, but is not limited to, refs/heads/, refs/remotes/, and refs/tags/) will be mirrored to the remote repository. If you only want to push branches and commits, but don’t care if you push other references such as tags, you can use the --all option instead. Your replica repository is now ready for sync-up operations. To do a manual sync, run git pull to pull from your original repository, and then run git push sync --mirror to push to the replica repository. Again, do not push any local changes to your replica repository at any time. You can use a number of tools to set up an automated sync job. In this section, we’ll briefly cover four common tools: a cron job (Linux), a task in Windows Task Scheduler (Windows), a launchd instance (macOS), and, for those users who already have a Jenkins server set up, a Freestyle project with build triggers. Feel free to use whatever tools are best for you. 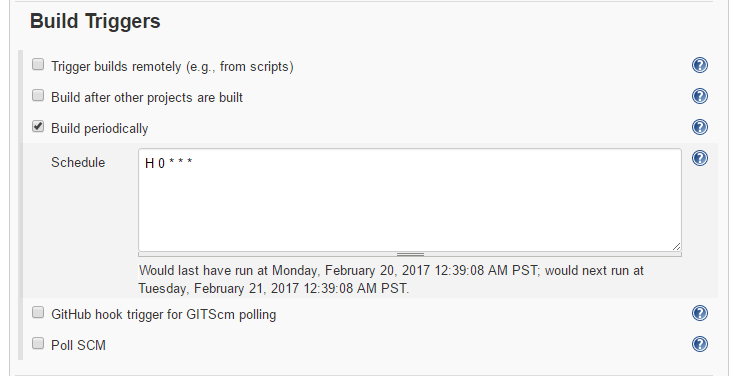 Some hosted repositories offer options for syncing repositories, such as Git hooks, notifications, and other triggers. To learn more about those options, consult the documentation for your source repository system. Where and how you save and schedule these commands depends on your operating system and tool(s). We’ve included just a few options/examples from a variety of approaches. At the terminal, run the crontab -e command to edit your crontab file in your default editor. Save the crontab file and exit your editor. Save the batch file with a name like my-repo-backup.bat. In Actions, choose Create Basic Task, and then follow the steps in the wizard. Save the shell script with a name like my-repo-backup.sh. Save your plist file in ~/Library/LaunchAgents, /Library/LaunchAgents, or /Library/LaunchDaemons folder, depending on the definition you want for the job. Create a new job as a Freestyle project. In the Build Triggers section, select Build periodically, and set up a schedule for the task. 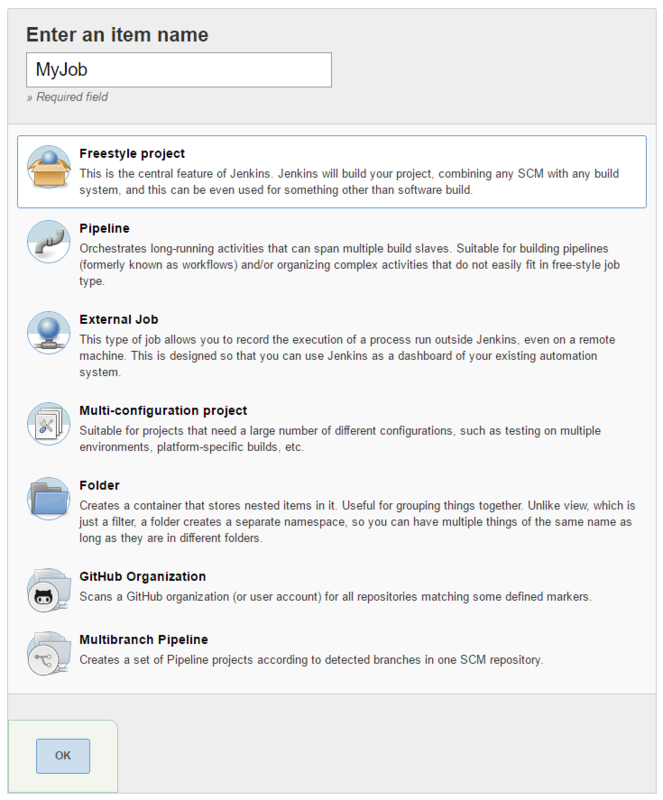 Jenkins uses cron expressions to run periodic tasks. For more information, see the Jenkins documentation for the syntax of cron. If you are replicating a GitHub or BitBucket repository, you can also set the task to build when the Git hook is triggered. The following example builds once a day between midnight and 1 A.M. Note: Jenkins may require the full path for Git. The following example is a Windows batch command file, with the full path for Git on the host. Save the configuration for the task. Your AWS CodeCommit replica repository will now be automatically updated with any changes to your source repository as scheduled. We hope you’ve enjoyed this blog post. If you have questions or suggestions for future blog post, please leave it in the comments below or visit our user forum!